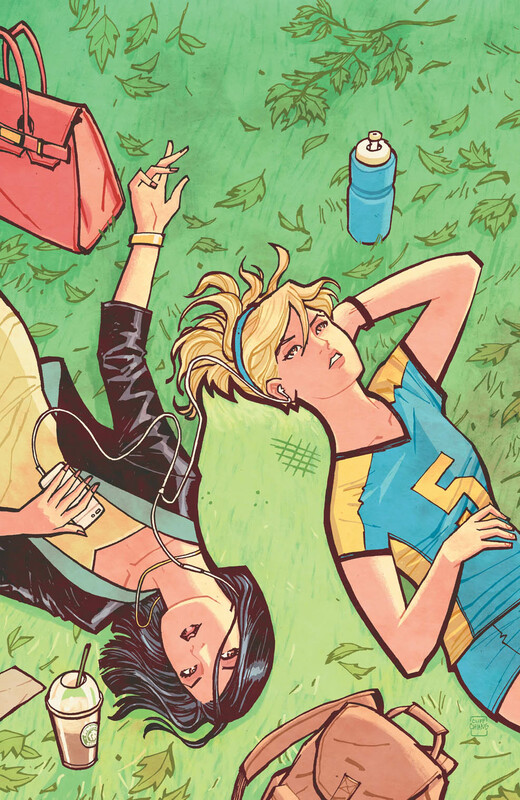 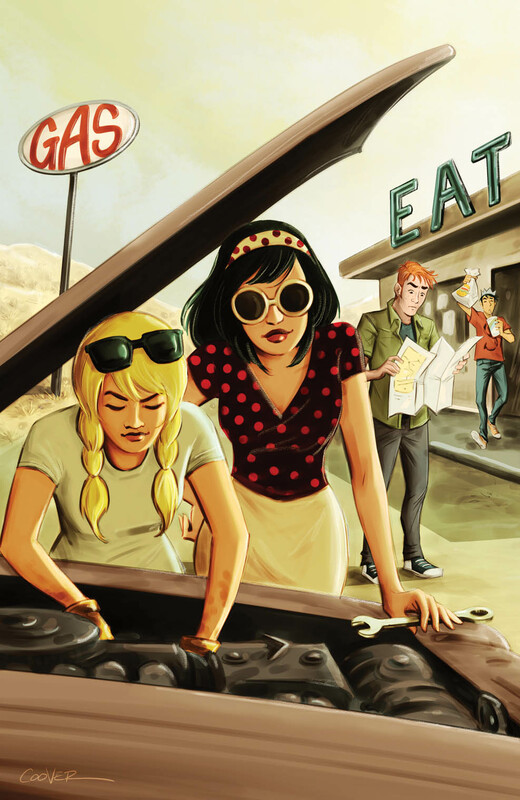 Archie Comics is gearing up to launch Betty & Veronica #1 on July 20. 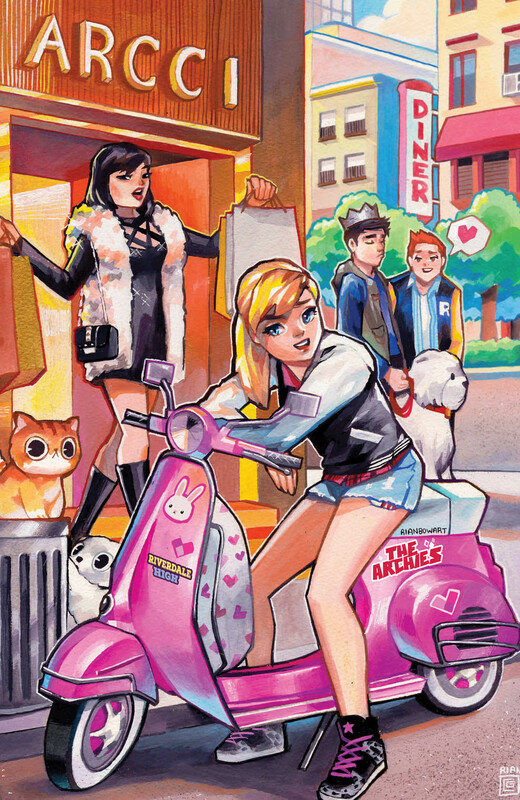 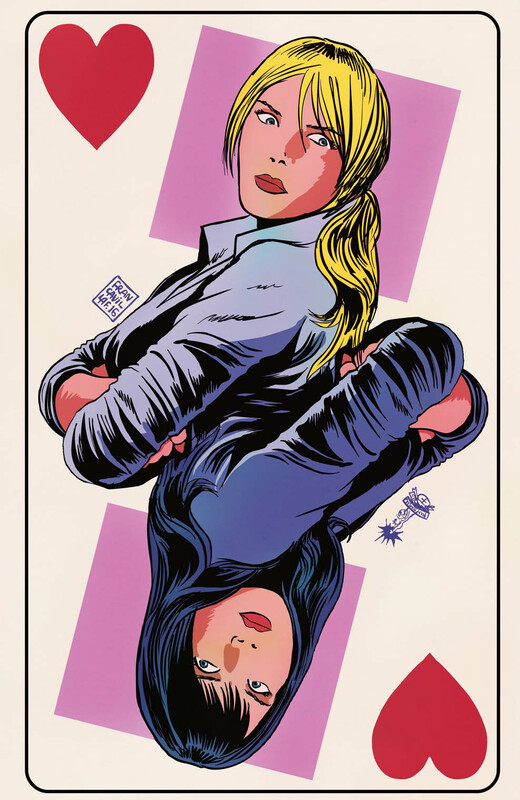 And while the talents of Adam Hughes are gracing the main cover, Archie Comics will be issuing 24 other covers to commemorate the series launch. 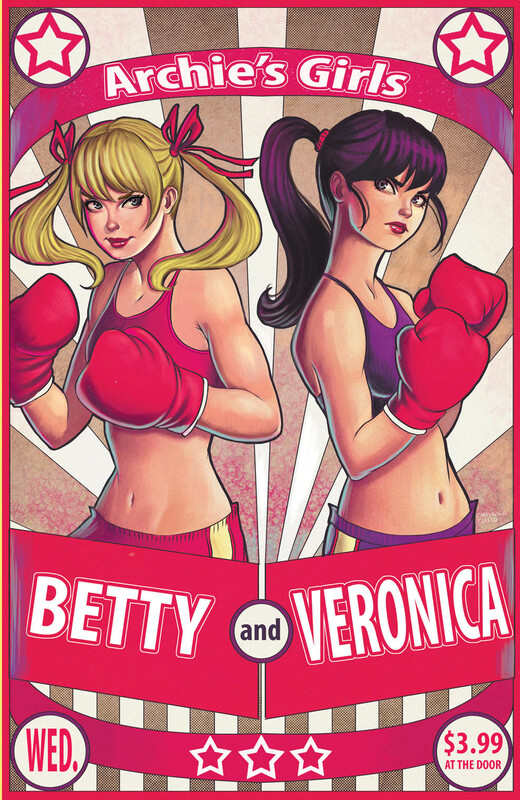 As Riverdale’s most beloved blonde and brunette find themselves divided over the takeover of the town’s central hangout, Pop’s Chocklit Shoppe, battle lines are drawn and friends have become enemies as the town is enveloped in all-out civil war! 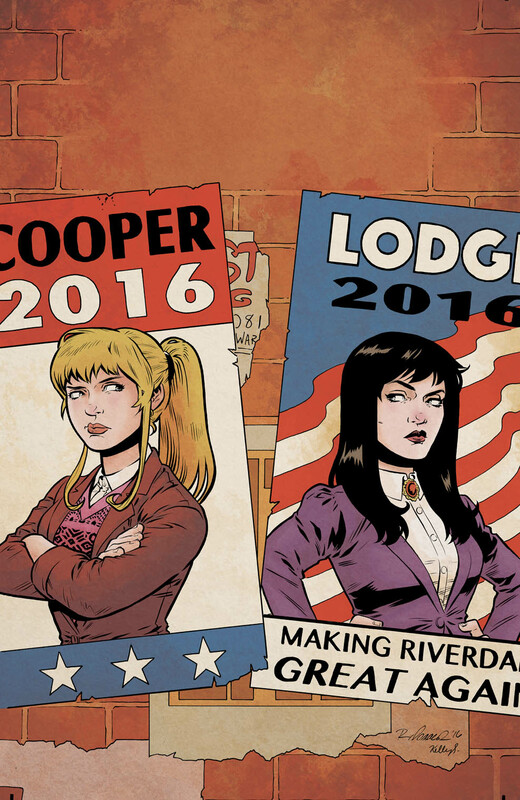 Oh, and there will be jokes. 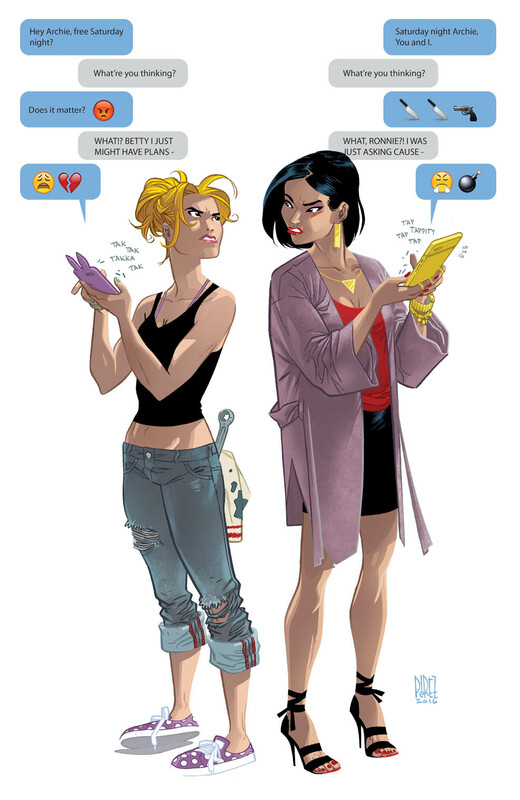 Plenty of jokes. 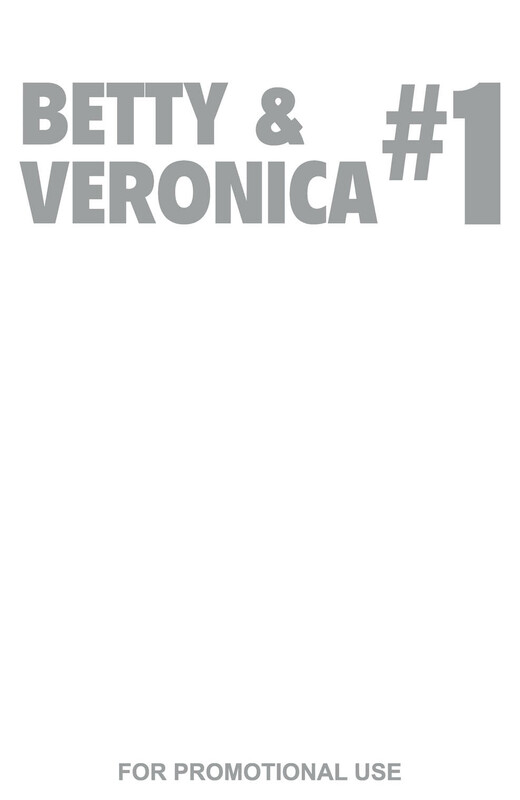 Among those offering a variant cover include Mahmud Asrar, Tom Bancroft, Stephanie Buscema, Cliff Chiang, Colleen Coover, Bilquis Evely, Veronica Fish, Francesco Francavilla, Genevieve F.T., Rian Gonzales, Robert Hack, Steve Downer, Erica Henderson, Rebekah Isaacs, Kelly Fitzpatrick, Tula Lotay, Alitha Martinez, Audrey Mok, Moritat, Ramon K. Perez, Andy Price, Ryan Sook, Jenn St. Onge, Chip Zdarsky, Chrissie Zullo and a Blank Sketch cover. 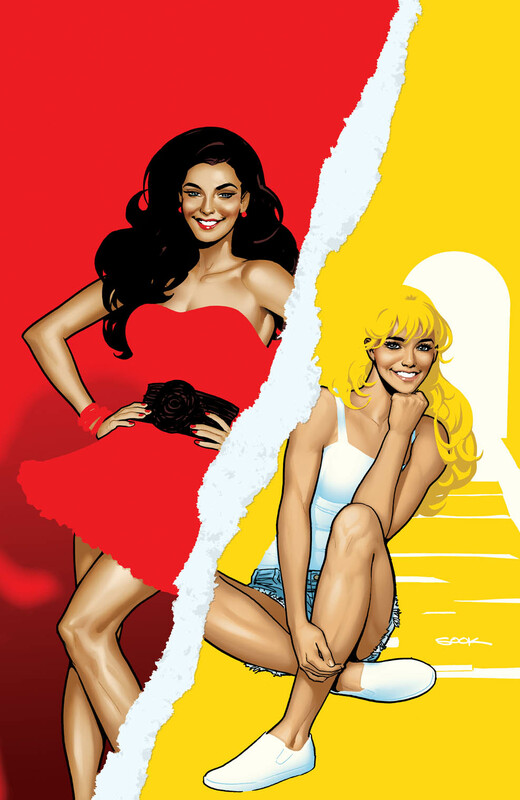 Full press release and covers below. 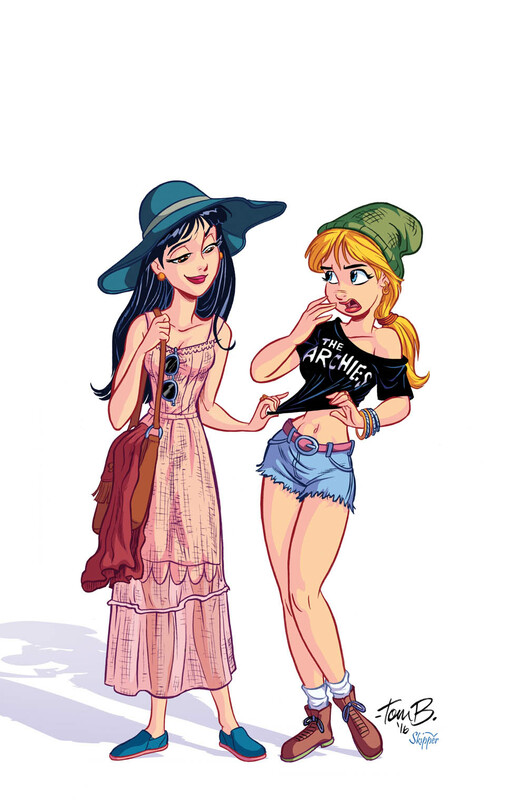 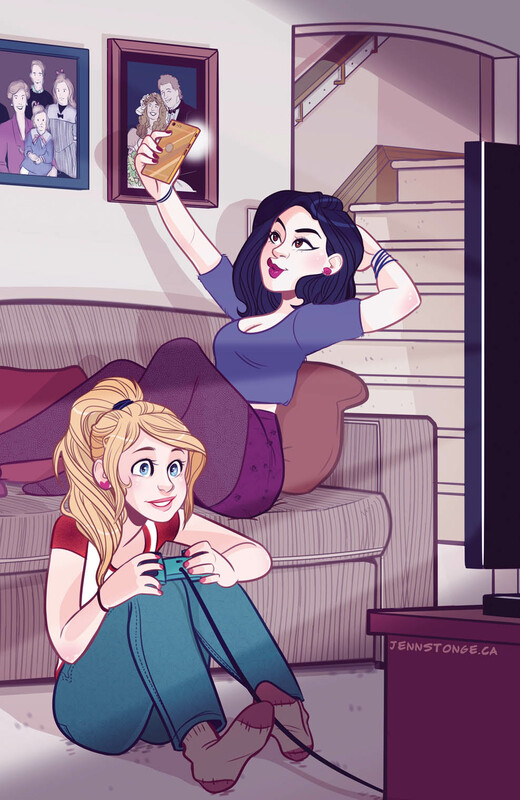 Betty & Veronica. 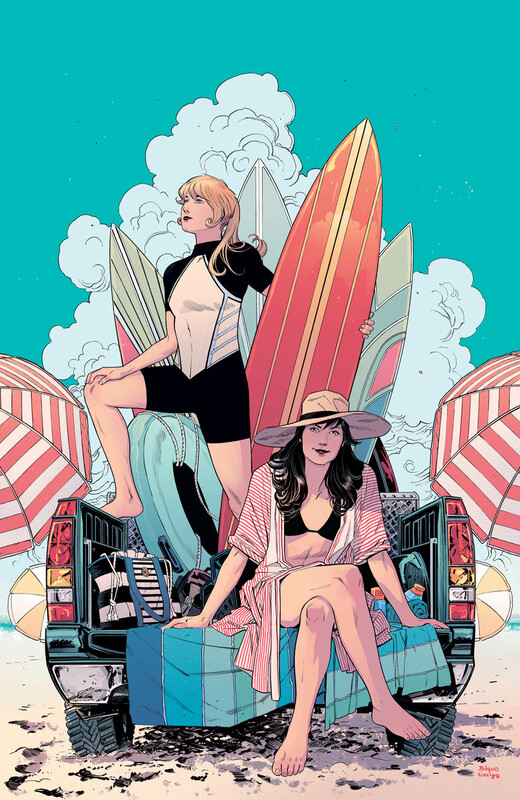 The posh socialite and the girl next door — two of the most iconic characters in pop culture — return in a major way this July with an all-new BETTY & VERONICA #1, courtesy of legendary comic book writer/artist Adam Hughes (Wonder Woman). 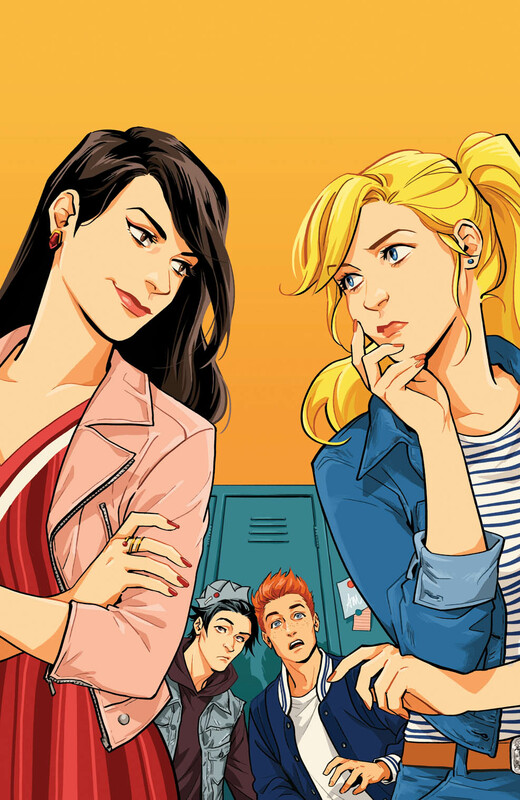 The new series follows hot on the heels of two of 2015’s most talked about comic book series: ARCHIE and JUGHEAD. 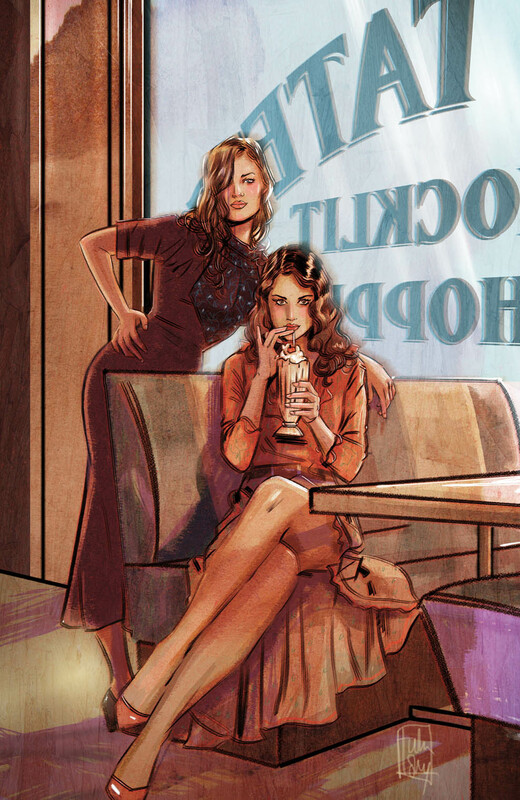 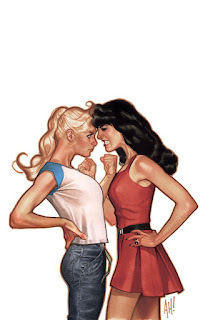 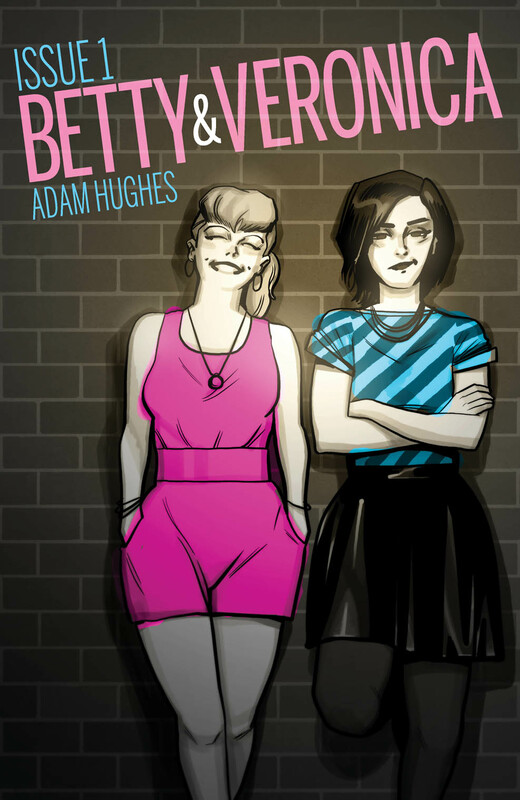 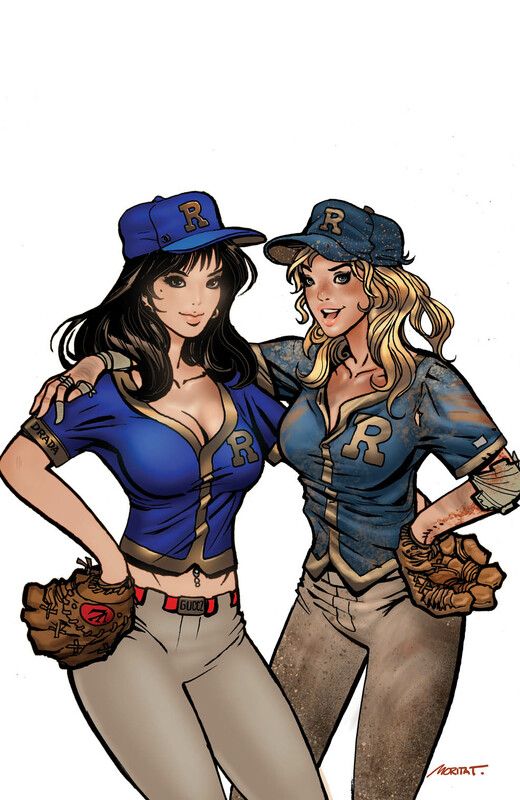 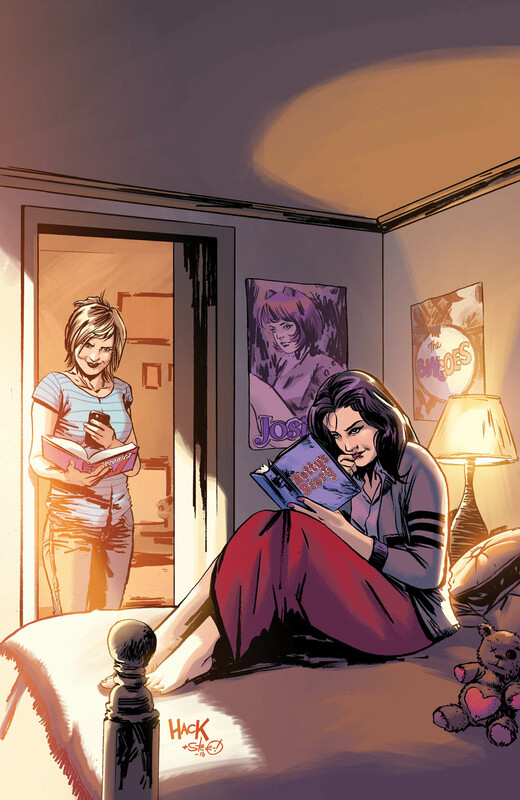 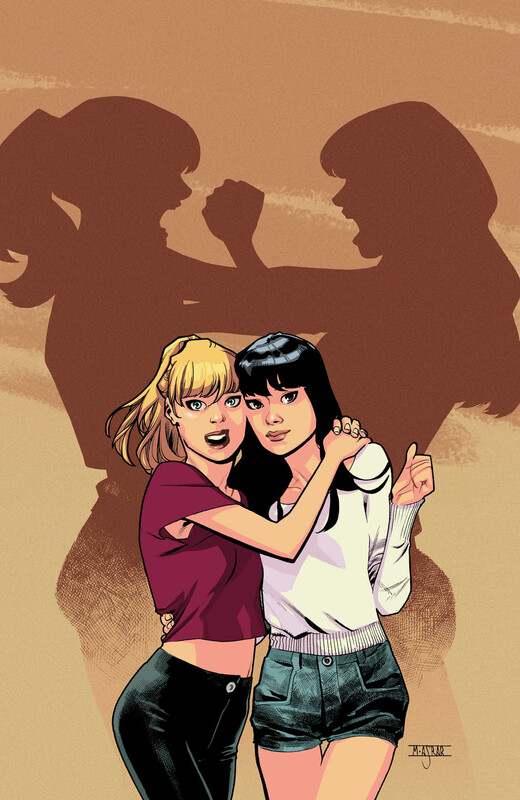 But what happens when Betty andVeronica becomes Betty VS. Veronica? 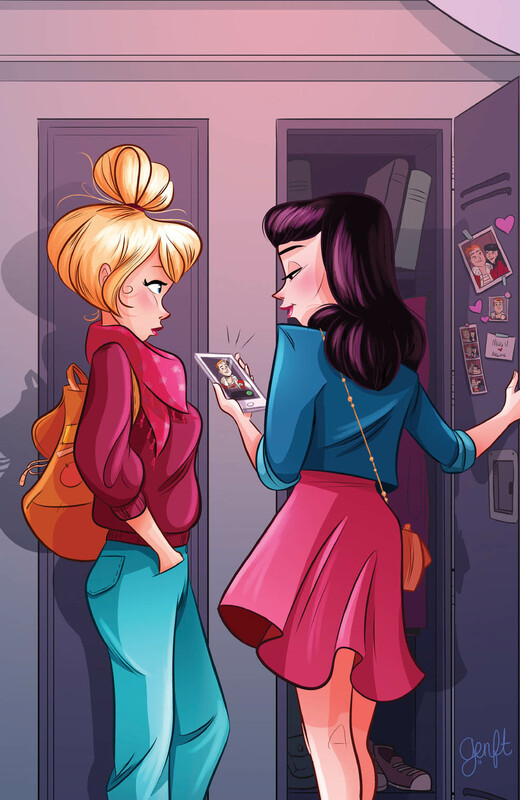 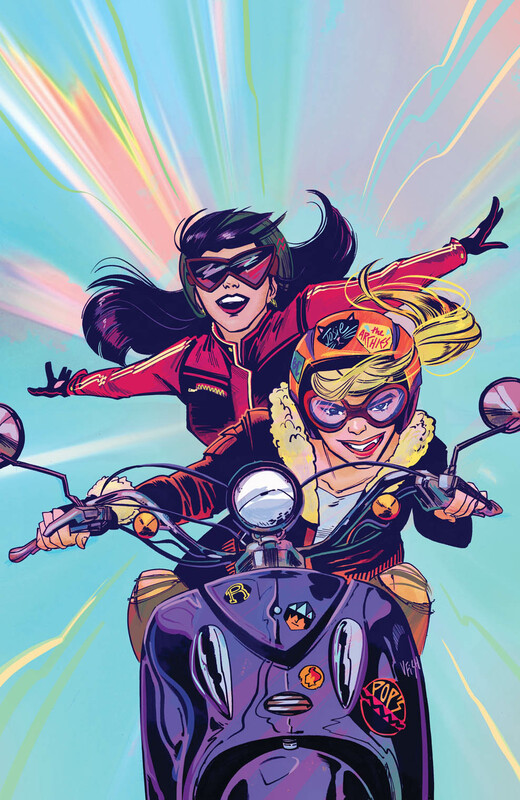 BETTY & VERONICA #1 will hit comic book shops on July 20th featuring variant covers from some of the industry’s hottest talent and rising stars! 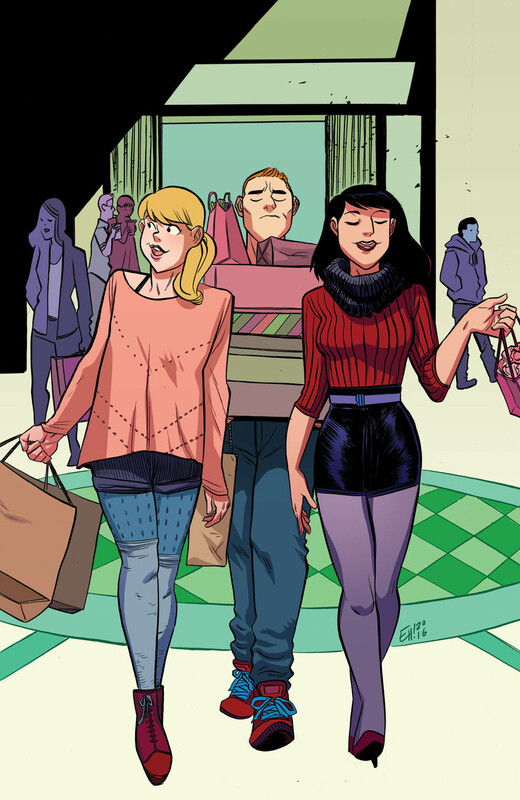 Pre-order your favorite covers with your local comic book shop! 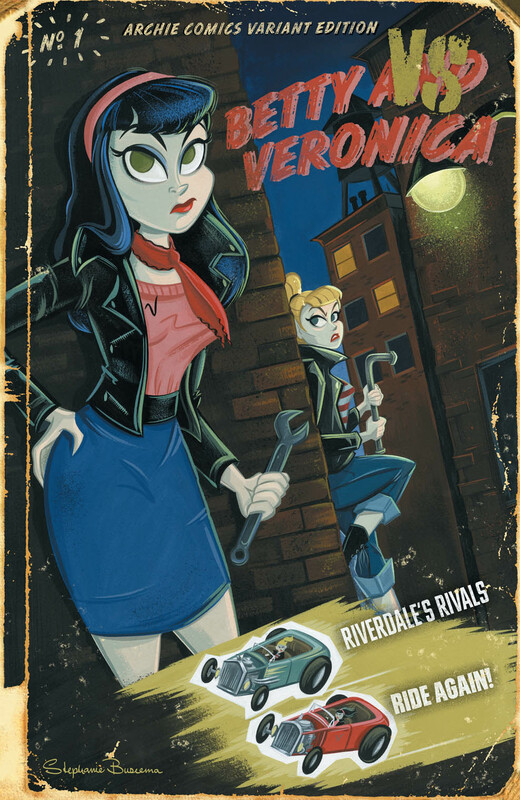 Find a comic book store near you using the Comic Shop Locator service or buyArchie Comics direct from our online store or digitally via the Archie App!